San Francisco is admired around the world for both it’s natural and architectural beauty. The breathtaking scenery combined with rows of Victorian, Edwardian and mid-century homes is much of what gives the city its unique character and charm. 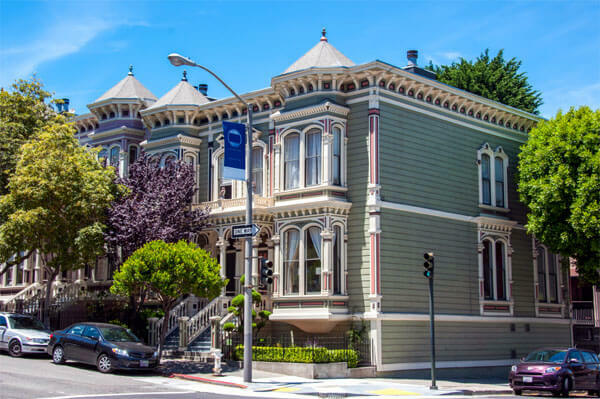 And, if you own a home in San Francisco, you already know how important it is to keep these vintage properties properly maintained and updated. 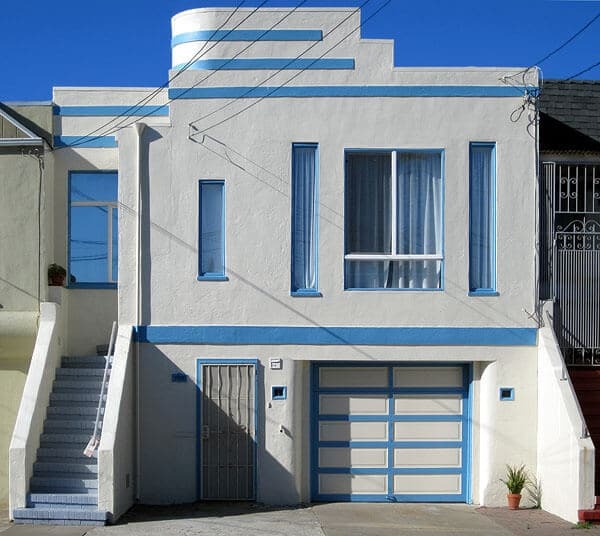 What makes San Francisco’s eclectic patchwork of home styles so interesting is also what can make it a bit challenging from a remodeling standpoint. The idea being to maintain the overall aesthetic continuity while improving and modernizing your design. For modern homes, of which there are many, this is less of a concern because modern fixtures, materials and designs are the easiest to find. For older homes or turn-of-the-century classics, however, finding what you want for your remodel can be more challenging and may require a more customized approach. 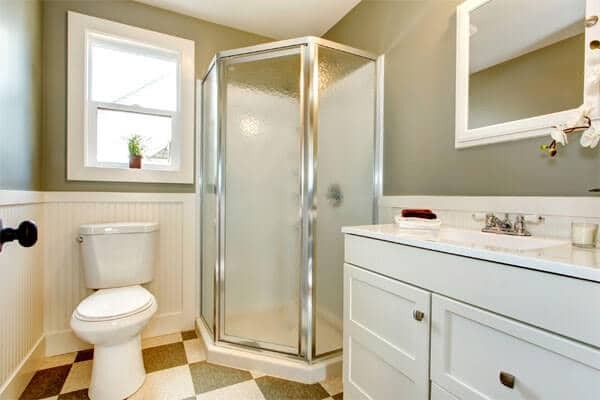 Schicker Luxury Shower Doors has been providing custom shower installations for San Francisco homes since the 1980’s and, in that time, we’ve designed and installed shower doors and enclosures for every type of house in the City. Whether classic or modern, Schicker helps our customers select or create the right style and fit to match any decor. Our quality installation process ensures that your new shower will not only look great but give you years of satisfaction with regular daily use. Your bathroom’s beauty will be enhanced as well as the overall value of your home. When choosing a shower door company in San Francisco, or any remodeler for that matter, it’s important that they understand the unique aspects of working in the City. There are not only architectural considerations but also logistical ones. Sometimes, just getting materials and personnel in and out of a home can be a challenge, with steep streets, narrow stairways and unavailable loading areas. Your installation needs to go as smoothly as possible, so always use local, San Francisco professionals who know the terrain and respect your home’s value. Another benefit to utilizing the services of local pros is that we’ve been inside every style of home you can find in the City, so we can make excellent recommendations based on our in-depth knowledge of building designs, construction and popular trends. This takes a lot of the guesswork out of knowing what works and what doesn’t, saving you more time and money. Schicker will provide you with an initial consultation to learn what’s most important for your shower remodel and present the best options to realize your vision and meet your budget. When doing remodels on older San Francisco homes, one important rule for installers is to “do no harm” to the original materials and craftsmanship. This is especially true with the treasured Victorian classics where the original construction is more than a century old, extremely costly or irreplaceable. If some of the plumbing, tiling or other elements are in bad shape, it’s always advised to repair rather than replace whenever possible. New additions or repairs should enhance and beautify the original work. 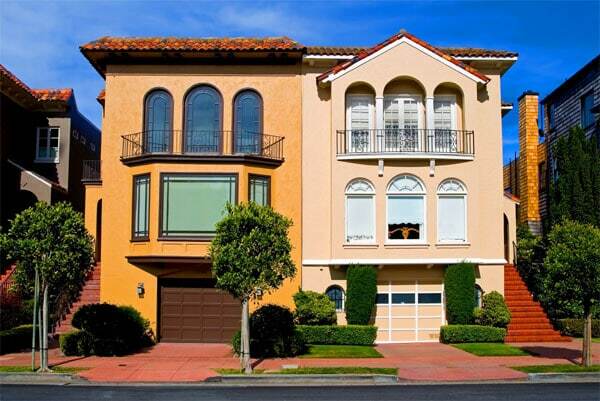 Let’s take a look at some of our favorite home styles that San Francisco is famous for. 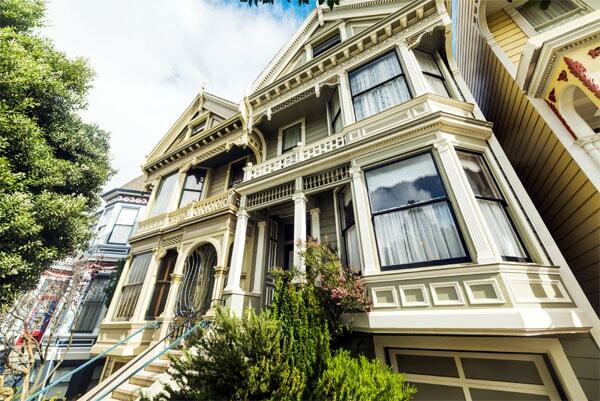 This is probably the first type of home most people associate with San Francisco, in large part to the colorful and famous “Painted Ladies” that have been featured on everything from postcards to TV shows. However, there are many different varieties of Victorian such as, Italianate, Stick and Queen Anne. The term, Victorian, refers to the reign of England’s Queen Victoria from 1837 to 1901, which is the era during which these homes were built. Sadly, many were lost during the Great Earthquake and fire of 1906 but many also survived and are ubiquitous throughout the city. Victorians are typically ornate or gothic in design and sturdily built using redwood harvested from nearby forests. Many are painted in vivid pastels or multi-colored themes, which makes them so postcard perfect and universally adored. As with the Victorians, these homes are so named because they were built from 1901 to 1910, during the reign of King Edward VII. Many of these were built during the aftermath of the 1906 earthquake and, although somewhat similar to their Victorian predecessors, tend to have a more masculine exterior with larger interior space and “great rooms” for entertaining. These homes can be found mainly in the downtown areas, SOMA and parts of the Mission district. This style, which evokes the English countryside, was popular in the early 1900’s and stands out in the urban landscape of San Francisco. The tudors were inspired by the Arts & Crafts movement of the time, which emphasized a return to medieval characteristics of steeply pitched roofs, casement windows, cross gables and a combination of both brick and stone. Many of these homes can be found in the Marina and Sunset districts and were built during an era of Spanish Colonial revival between roughly 1915 to 1930. They’re distinctive for their Mediterranean designs that incorporate stucco, clay tile roofs, arched windows and balconies. Some will feature beautiful garden areas and open floor plans. You can find different variations of sizes from this group, from row houses to sprawling mansions. This style of design was prevalent during the 1920’s and 30’s and influenced architecture from New York’s Empire State Building to San Francisco’s Golden Gate Bridge. 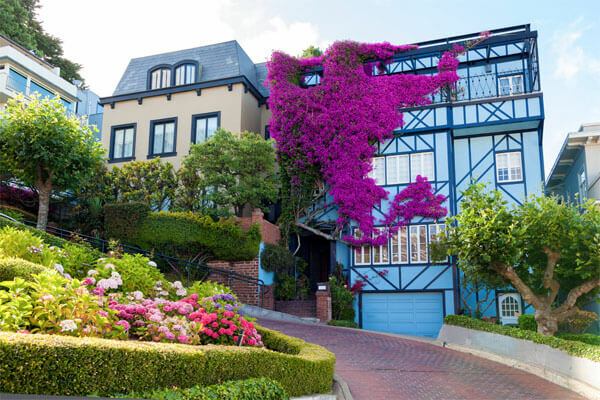 In the City, Deco homes aren’t the most common but can be found scattered around Pacific Heights, Sea Cliff, the Sunset and the Marina district. Deco homes, like their commercial counterparts, intend to make a bold statement about American optimism, enterprise and capitalism. These marvelous edifices are distinguished by their modern design elements, such as round “porthole” windows or curved corners. The post-war era brought a wave of new development to many cities around the country, including San Francisco. There was a huge demand for attainable, affordable housing as families, and the suburbs, expanded. 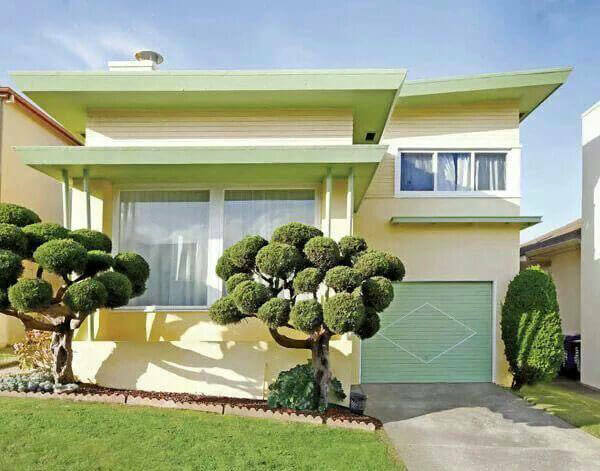 During this time, many smaller tract home were built by developers like Joseph Eichler in places like the Marina, the Sunset, the Richmond, Glen Park, Visitation Valley, Hunters Point, Bernal Heights, Noe Valley and Potrero Hill. Today, mid-Century homes are enjoying a revival as they’re some of the most sought after properties in the City. Buyers are drawn to the retro designs and interiors that allow for much in the way of creative redecorating and renovation. Whichever style of home you own in San Francisco, Schicker can help you find just the right shower door or enclosure to compliment your bathroom design. Contact us today for a free consultation, or visit one of our many Bay Area dealers for more information.